“Good News” suitable to promote your products and companies is hard to find. It has to be carried in good format by a medium that people trust. Our industry trusts Forkliftaction. It has to be timely. Weekly is timely; twice annually or even quarterly is not timely. It has to be repeated, to get best value. Repetition is king. Please submit all of your stories and achievements to the Editor at Forkliftaction with a copy to me. The Editor gets “first squeeze” and if he runs with it as “News”, the cost is nil. If he does use it, or if he does not, there is still a “lot of juice” to squeeze out of your achievement and I can advise you on best options to get all of your promotional information to the decision makers. For those who have a PR Team and submit PR regularly, please consider having all of your PR published automatically, as paid Media Releases (Announcements) with all your contact details, promotional words, photos videos and logos and for them to be repeated three more times. We have excellent rates to squeeze all of the value out of all of your submissions.The reality is, you have spent a lot to put your PR Team together, so another 3% funding to squeeze out the other 65% of story-line value is a “no brainer”. After all, the art is to have your brand; your products and services and your contact details on the tips of tongues, in the boardroom when change is about to be made. Good grist for promotions in our industry is not easy for anyone. We are not blessed like Coca-Cola, Nike, Chanel, Apple etc who have new tastes, fragrances, elegance, youth and endless sports events to hang on. In our business, how often does royalty visit your factory; do you open a new state of the art complex; launch a new innovative product; reduce the operational cost by 50%; produce a tyre (tire) that has twice the life; save lives; help tsunami survivors. My hat goes off to our Editorial Team who, week after week, find and disseminate breaking News to our 200,000 readers. We are not blessed with these iconic vast global audiences that consume product and information from many thousands of sources and outlets. But our advantage is that our very much smaller global audience is focused and they all read and research the one single Forkliftaction resource. Every company needs to find ways to give confidence to their existing customers and reach out to find new clientele. We do it by reporting achievements, milestones and events, announcing new product features, new team members and acquisitions etc. We do it by placing the information right in front of our target audience. In each there is “News” value and in each there is “promotional ” value.These occurrences do not happen every day and It is not easy to find the time, energy and funds to make the most of them when they do occur. My purpose here is to remind you that, with my colleagues, we are geared to help you squeeze every last drop of promotional value from your News. It is easy when you work with us. Some larger companies with a lot of “fingers in a lot of pies” have invested in an energetic PR machine. Most companies do not have that financial luxury to support a PR Team and for many, the opportunity to create good PR stories seldom comes along. But, in both cases the best use needs to be made of every PR opportunity. For those who have a PR Team and submit PR regularly, please consider having all of your PR published automatically, as paid Media Releases (Announcements) with all your contact details, promotional words, photos videos and logos and for them to be repeated three more times. We have excellent rates to squeeze all of the value out of all of your submissions. The reality is, you have spent a lot to put your PR Team together and another 3% funding to squeeze out the other 65% of story-line value is a “no brainer”. 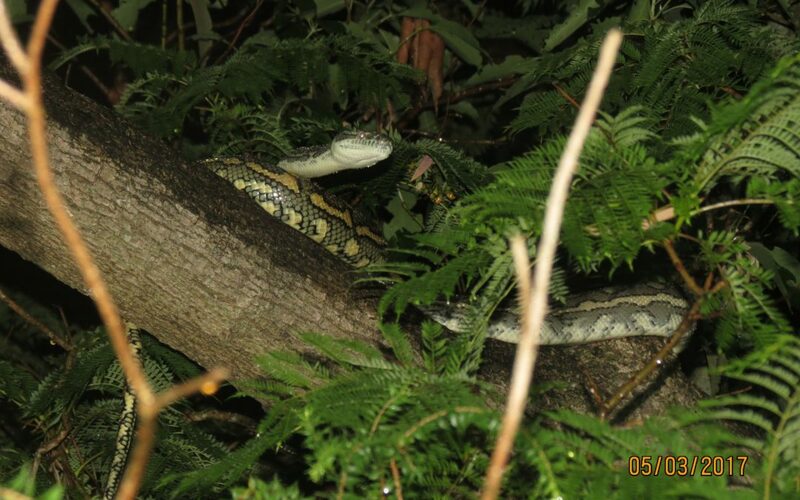 Photo; Diamond Python “Carpet” snake at my house in Brisbane….looking to squeeze something.